For thirty-five years, Stewart Homes has been a partner with parents supporting children who are medically fragile with complex care needs, severe mobility and neurological disorders, moderate to severe Cerebral Palsy, esophageal motility disorders, complex seizure disorders requiring recurrent seizure protocol management and supervision of medications. Stewart Homes operates staffed residences for medically complex children from birth to early teens as well as for medically fragile young adults. We presently have ten, staffed homes: five in each of Peterborough and Pickering, along with adult day programs in both regions and an infant day program in Pickering. Respite care at Stewart Homes may be purchased using PASSPORT funding from The Ministry of Community and Social Services.You may be eligible for this funding. Click here for full details on the Ontario PASSPORT funding program. Click here for a list of Ontario PASSPORT offices. Now you can follow your child in Stewart Homes care through a link to our ShareVision case management system. Keep up to date by reading our Daily Journal reports, Plans of Care, Medical Reports, Medication Lists, One-on-one Support Notes and more . . . all filtered to show just your child . . . all in real time. To apply for access to your child's information, click here. For a short list of what you will see, click here. For more information on our Visitor Site, click here. Dr. Siegel profiled in Peterborough This Week. 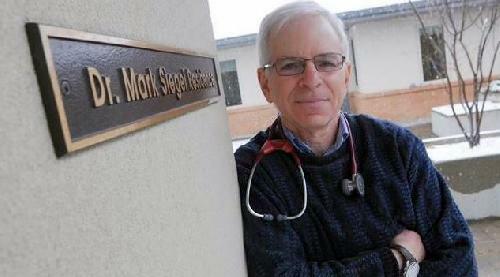 After 31 years as a family physician at the Peterborough Clinic, Dr. Mark Siegel retired in 2007. Read more . . .